A plunge in the value of the ruble has hit Russia’s economy and exerted visible influence on Chinese businesses in the Far East region. Chinese businessmen in Vladivostok, a Russian port city, told Xinhua that the depreciation of the ruble has pushed up prices of meat, fish, and grain, hurting their businesses. Liang Xiaowei, a restaurant manager in Vladivostok, said the restaurant is facing the most difficult situation since its opening in 2001. Liang said the ruble’s devaluation is the main reason for poor business. “I wish the situation would get better soon,” he said. Ma, another restaurant manager in downtown Vladivostok, said that the prices of meat, vegetables and dressings are going up and his restaurant is getting quiet. 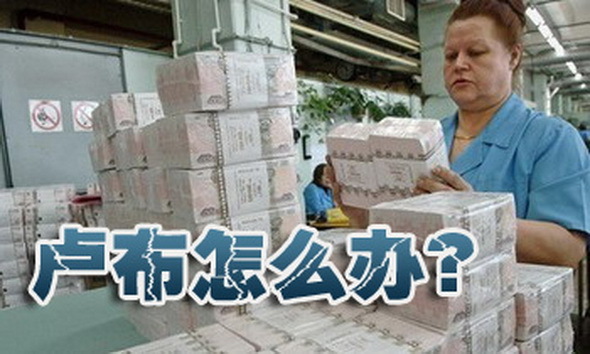 “The ruble exchange rate affects not only Russians, but also the Chinese businessmen living here. We have not raised the prices in our restaurant yet, but it will happen after the New Year,” he said. Some of the Chinese businessmen trading at the Sportivnaya market, the largest trading area in Vladivostok, have closed their shops due to the devaluation of ruble. Ran Peng is a salesman for a vegetable store, the only Chinese grocery store that remained open at the Sportivnaya market. He told Xinhua that the Chinese shops there cut off business within a week. A new Russian market manager has said the rent would be up next year by a third or a half. “That is why they left,” said Ran. “I want to try and sell the vegetables in stock, and then decide whether to stay or leave,” Ran said. However, there are still some Chinese who believed the situation would be improved. “I believe in (Russian President Vladimir) Putin, and it will get better within six months,” said yet another manager of a Chinese restaurant. Putin is confident about China-Russia trade and economic cooperation. At an annual end-of-year press conference, he said he believed that Russia-China trade would keep the momentum with volume to reach 90 billion U.S. dollars this year although the world economy is in trouble. The ruble has lost nearly 50 percent of its value against the U.S. dollar and the euro since March, despite several currency interventions of the Central Bank. The Russian currency plummeted to historic lows Tuesday, with the euro briefly hitting 100 rubles and the dollar 80 rubles respectively in Moscow trade. China’s property sector continued to cool in November, but the declines have been narrowing on the support of government policy adjustments, official data showed on Thursday of December 18. NBS senior statistician Liu Jianwei attributed the narrowing decreases to government policy changes intended to avoid a sharp slowdown in the sector out of fear of jeopardizing the broader economy. Those moves include fewer restrictions on home purchases and eased mortgage rules. In addition, the central bank last month decided to lower the one-year benchmark lending rate and deposit rate to cut financing costs. All combined, the policies did have a positive impact on the sluggish market. In November, home sales reached a monthly high for this year, registering 809.6 billion yuan (132.3 billion U.S. dollars), 93.8 billion yuan more than October. But despite their immediate boost to the market, the moves are insufficient to halt and reverse China’s structural property downturn, said Wang Tao, chief China economist with UBS. She said the property sector remains the top risk to growth in 2015. Earlier data showed China’s real estate investment growth softened to 11.9 percent year on year in the January-November period from a 19.8-percent increase in 2013. Dragged down by the housing slowdown, softening domestic demand and unsteady exports, China’s growth slid to a low not seen since the 2008/2009 global financial crisis in the third quarter. And with the property market still experiencing headwinds, the UBS expects GDP growth to cool to 7 percent in the fourth quarter and 6.8 percent in 2015. In the tone-setting Central Economic Work Conference last week, Chinese leaders said they could deliver the social and economic goals “relatively well” in 2014, while stressing the economy still faces many challenges and “relatively big” downward pressures such as increasing difficulties for businesses and the emergence of economic risks. The statement released after the meeting did not give a specific growth target for 2015, which is usually made public in March, but said the government will be “reasonable” when setting goals and maintaining the flexibility of its macro-control policies. Just more than a year after the successful launch of the China (Shanghai) Pilot Free Trade Zone (FTZ), the government is planning several similar zones to invigorate the faltering economy. The decision to establish three free trade parks in Guangdong and Fujian provinces, and Tianjin Municipality, was announced after a State Council executive meeting last week in hopes of replicate the Shanghai model’s success. The new parks will focus on the experimental policies made in the Shanghai zone, but will also be allowed to add new elements according to local conditions, said the statement released after the meeting. “This means some 70 percent to 80 percent of the plans for the three regions will be identical with those for Shanghai,” said Sun Yuanxin, professor with the Shanghai University of Finance and Economics. The Shanghai FTZ was launched in September 2013 to test a broad range of economic reforms, including interest rate liberalization and less investment restrictions. Apart from those experiments, analysts expect the trade park in Guangdong to excel in customs clearance and financial reforms due to its proximity to Hong Kong and Macao. 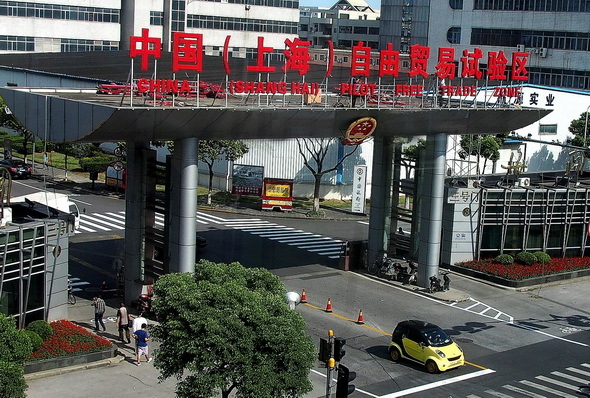 The Fujian park is predicted to have more favorable policies concerning trade with Taiwan, and the Tianjin park will center on financial leasing. “Differentiated competition will help explore better experiences to serve the national reform and opening-up,” Chen Bo, an expert from Shanghai University of Finance and Economics, said. Although detailed plans for the three trade parks have not been made public, the market has reacted positively to the news, with stocks related to the concept increasing on Monday. The move came as China’s growth slid to a low not seen since the 2008/2009 global financial crisis in the third quarter, dragged down by a housing slowdown, softening domestic demand and unsteady export. In a key economic meeting last Thursday that set the tone for next year’s economic policies, Chinese leaders stressed the economy still faces many challenges and “relatively big” downward pressures. They pledged to push ahead with further reforms to give new impetus to the economy. 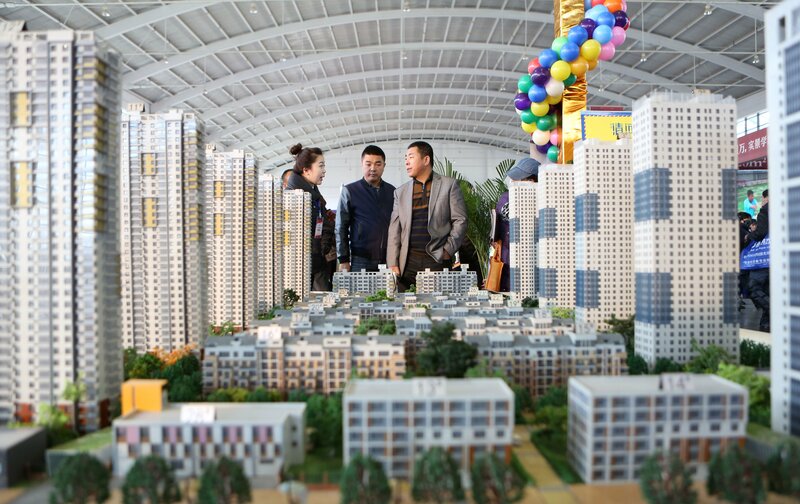 China’s real estate industry will focus on selling its mounting inventory amid price corrections and possible collapses of small property developers in the coming year, industry insiders said. Wang Jianlin, China’s second-richest man and president of the Wanda Group, claimed the real estate industry had entered a state of “new normal”, saying the industry would neither boom nor bust in the next year. In the January-November period this year, China’s home sale value dropped by 7.8 percent year on year, a huge contrast from the 26.3 percent surge registered in 2013 and the 10 percent increase in 2012, according to the National Bureau of Statistics. New housing projects also declined nine percent in the January-November period from a year earlier. Wang, however, also dismissed concerns over a house market crash, saying moderate leverage levels, strong government leadership and urbanization potential would prevent China from such a bust. 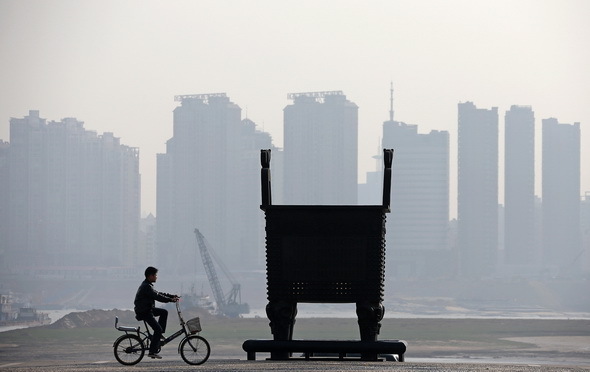 “Stop imagining that China’s property market will collapse. There is no possibility for that,” Wang said. Chinese regulators have removed home purchase restrictions, cut the benchmark borrowing rates by 0.5 percent and asked banks to offer discount rates to home buyers. In November, home sales reached the monthly high of this year, registering 809.6 billion yuan (130.9 billion U.S. dollars) , 93.8 billion yuan more than October. The Central Economic Work Conference last week, a meeting which sets the tone for next year’s policies, called for prudent monetary policy to strike a balance between being tight and loose, a signal some analysts interpreted as more macro easing and beneficial to the house market. “The biggest pressure comes from the current inventory,” said Ren Zhiqiang, a well-known property developer. Real estate companies may be pressured by cash shortage and debt burdens if the market remains at a low level, he added. In its latest report, UBS maintains that the property sector downturn would pose the largest risk to China’s growth. “While we do expect easing in property and lending policies to help stabilizing sales, construction will likely decelerate further as developers digest inventory and slow down their capital expenditures,” the UBS report said. Xia Haijun, President of Evergrande Group, believes Chinese property developers will see more sales next year while the home price keeps stable. Xia said property developers would focus on selling inventory in 2015. UBS forecast new property development would drop by 10 to 15 percent in the next year. Real estate investment growth softened to 11.9 percent year-on-year in the January-November period from the 19.8 percent increase in 2013. “We believe this is good for inventory destocking and market health, especially for some oversupplied cities. We expect this trend to continue in December and next year,” Nomura said in a note. China’s Dalian Wanda Group is accelerating its expansion into the luxury hotel business with plans to become the world’s largest 5-star hotel owner in 2015. Wanda Hotels & Resorts Co. Ltd., a wholly owned subsidiary of Dalian Wanda Group Corp. Ltd., announced that it will build new hotels in 100 Chinese tourism destinations by 2015 to become the world’s largest 5-star hotel owner. By the end of 2018, the company plans to own more than 150 luxury hotels in China, Europe, the United States and Australia. Wanda Hotels & Resorts Co. Ltd. was founded in 2012 with the goal of becoming China’s preeminent global luxury hotel brand. It owns and manages hotels under three names: Wanda Realm, Wanda Vista, and Wanda Reign. By the end of 2014, the company will own 71 luxury hotels in China. Dalian Wanda Commercial Properties, one of the Chinese mainland’s largest developers, is scheduled to list in Hong Kong this year. Moody’s Investors Service said that Dalian Wanda Commercial Properties Co., Ltd.’s (DWCP) initial public offering (IPO) is credit positive, as it will enhance the company’s liquidity and capital structure. The Moody’s report came days after DWCP published its global offering prospectus and IPO timetable on December 10. DWCP, one of the largest property companies in China, develops, operates and sells integrated properties, including shopping malls, offices, residential housing, and hotels. Through the IPO, the company plans to raise 25-29.8 billion Hong Kong dollars by issuing 600 million shares at a price of 41.8-49.6 Hong Kong dollars per share. The company may issue an additional 90 million shares by exercising its over-allotment option. DWCP is expected to start trading on the Hong Kong Stock Exchange on December 23, 2014. The IPO will also improve the company’s credit profile, therefore supporting its Baa2 issuer rating and stable outlook, Moody’s said in a note to media. “In addition, DWCP’s IPO will expand its investor base and enhance its already strong liquidity position for the purpose of business growth,” added Tsang, also the lead analyst of DWCP. A successful listing would also enhance corporate governance, including controls over related-party transactions, increased transparency, and timely disclosure of financial results in accordance with the listing requirements. DWCP’s current Baa2 issuer rating is based on the company’s prudent pre-IPO dividend policy, which pays out 20 percent of net profits. Any material change could impact its current rating, said the Moody’s report. 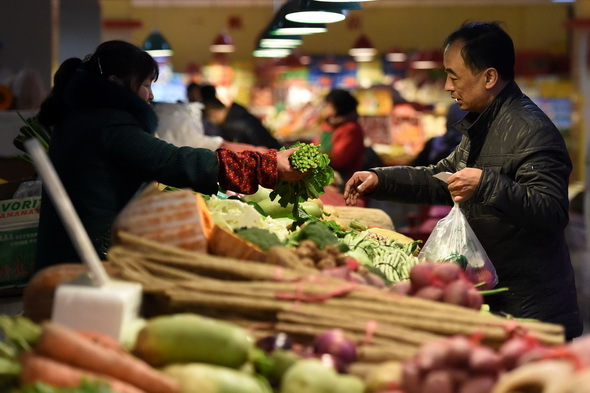 China’s consumer prices grew by their slowest pace in five years in November, which may result in more easing measures by the policymakers, official data showed on Wednesday of December 10. The consumer price index (CPI), the main gauge of inflation, rose by 1.4 percent year on year, the slowest increase since November 2009, when it rose 0.6 percent, according to the National Bureau of Statistics (NBS). The meeting is being widely monitored as the world’s second largest economy is having a rocky year. In the third quarter, growth slid to a low not seen since the 2008/2009 global financial crisis, dragged down by a housing slowdown, softening domestic demand and unsteady export. With investors expecting more easing policies after a rate cut in November, the CPI data serves as a barometer to assess the possibility of more easing measures such as lowering the reserve requirement ratio (RRR). This is the third month in a row that China has seen its CPI rise within 2 percent. For the first 11 months, inflation grew 2 percent, well below the 3.5 percent full year target set by the government. As inflation further inches down, experts see a higher probability of such measures in the next few months. On a monthly basis, November’s CPI dipped 0.2 percent against the previous month, while data remained flat in October. Yu Qiumei, a senior NBS statistician, attributed the record low inflation level to seasonal and international factors. Food prices, which account for about one-third of the CPI calculation’s weighting, rose 2.3 percent from a year ago in November, lifting CPI by 0.77 percentage points, compared to 2.5 percent and 0.83 percentage points in the previous month. Food inflation was offset by easing non-food inflation, which edged up 1.0 percent year on year in November. Subdued non-food inflation mainly came from falling fuel prices, which dropped by 8.3 percent. Last month, the slump in international crude oil prices brought down domestic gasoline and diesel prices, which dropped 5.6 percent and 5.9 percent year on year, respectively, dragging down the CPI by 0.05 percentage points, said Yu. In addition to the slower consumer price growth, China’s factory gate price decline deepened in November as a slowing economy and housing market downturn weakened domestic demand for industrial goods. The producer price index (PPI), which measures inflation at wholesale level, dropped 2.7 percent year on year in November, its steepest fall in 18 months, the NBS said on Wednesday. Price growth rate is likely to continue declining, heralding more easing measures. Bob Liu, analyst at the China International Capital Corp. (CICC), forecasts December’s CPI and PPI growth will slide further. The risk of deflation in China has risen significantly, Liu said, which would lift the level of real interest rates, further curbing aggregate demand and in turn reinforcing deflation expectations. “Therefore, counter-cyclical monetary policy easing is strongly needed. The People’s Bank of China (PBOC) should cut the RRR and further lower benchmark interest rates,” Liu added. Increasing deflationary pressure will push up real interest rates and compel more rate cuts, said UBS Chief China Economist Wang Tao, expecting at least two more cuts in benchmark lending rates totaling 50 basis points by the end of 2015. For RRR cuts, Wang of UBS said, as the market sees it as a strong signal of general monetary easing, the government may want to avoid sending such a signal, opting instead to rely on other facilities to provide liquidity. The decelerated consumer and producer price growth would also create an opportunity for more price reforms. Kuang Xianming, director of the research center for economy, China Institute For Reform and Development, said growing deflationary pressure is a major challenge facing China’s economy. However, this would also expand room for key reforms to improve the pricing mechanisms and reduce the financing cost for small businesses, Kuang added. As part of the price reform, Wang of UBS expected the government to adjust prices of transport, energy and utilities, and adjust resource, energy and environment related taxes. This would help in “not only reducing price distortions and improving resource allocation, but also cushioning the deflationary pressures,” Wang Tao added. Yvonne Fang could not believe her eyes when she saw a total transaction volume of 500,000 yuan (81,000 U.S. dollars) on Alipay over the past 10 years. “I hope my husband never sees the bill,” she joked. Alipay, an online payment platform launched by Alibaba in 2004, sent reports to its 300 million users on Monday of December 8, detailing their spending over the past ten years. The reports showed spending and investment through Alipay, together with an estimate of the users’ assets in another 10 years judging from the spending and investment history. Reviewing her spending since 2007, Fang, 30, found the first item she bought online was a blouse for only 69 yuan, one third of the tag price. “I even showed it off to my foreign colleague and recommended she turn to online shopping,” recalled Fang, who now works at an international public relations company. During her time spending online, she has grown from a fresh graduate into the mother of a two-year-old girl. The items she bought have also changed from clothes for her and her boyfriend, to furniture for their home, to baby things. “How time flies,” she said. The record not only brought a lot of memories, but exposed just how big the e-payment business has become in China. According to the overall report, also released on Monday, the number of Alipay transactions reached 42.3 billion, with Guangdong, Zhejiang, Shanghai, Beijing and Jiangsu the top five regions. Apart from online shopping, the report also included payments for mobiles, electricity and gas, credit card payments and fund transfers; services that Alipay offers free of charge. Mobile payments accounted for over 50 percent of total online payments in 2014. The less developed regions in the west grew much faster than the developed east. The regions with the highest percentage of mobile payments in 2014 were autonomous regions of Tibet — where mobile payments were almost 63 of the total — Ningxia and Inner Mongolia, and Shaanxi Province. Chen Jin, director of the research center of modern services with the University of International Business and Economics, said mobile payments in sparsely populated western regions with poor transportation, have grown rapidly in recent years because of the popularity of smartphones and mobile Internet. Following Alibaba’s 25 billion dollar New York IPO in September, founder and board chairman of Alibaba Jack Ma told state media that Alipay will also go public someday, hopefully on the A-share market. To that end, Alipay has started working with hospitals, stores and supermarkets, offering doctors appointments and payment services. In Beijing, supermarkets such as Wu-Mart and Merry Mart are offering 10 percent discounts to encourage customers to pay their bills with their mobiles through Alipay. 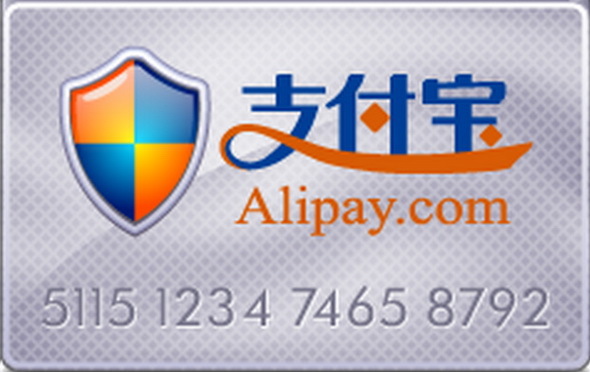 Chen said Alipay, usually engaged in micropayment, has had to expand their community services with the “online to offline”, O2O, and provide convenience to compete with UnionPay. “With no more card swiping and signature needed, I’d rather use Alipay for convenience,” said Cao Peng, a customer who paid his bill at a Merry Mart outlet in Beijing, adding that all he needed to do was to scan the bill code to make the payment with his smartphone.